My mom asked me to make her a capsule wardrobe. I thought you guys would be interested in seeing it too. The main colors are gray, navy, pink, mint and purple. She doesn't like skirts so there are just pants and a maxi dress.She doesn't wear sleeveless shirts because she's always cold. There are no bags, shoes, accessories and jewelry because she has a good selection of that already. 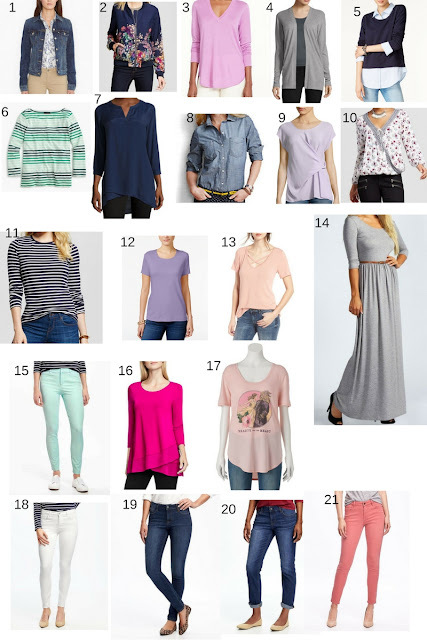 And every piece is under $50! I'll go through every piece and do some outfit ideas. There's a carousel at the bottom with the pieces in here and similar items. I picked basic pieces that can easily be mixed and some with great details. I had a lot of fun putting together this capsule. Would you like to see more? This is great! I love the pieces you chose and outfit combos you came up with! Wow every piece is under $50, nice job on this. Your mom is lucky she has a daughter and a built in personal stylist! Love what you came up with! I think this concept is so interesting though I am not sure I could ever do it myself. How fun! 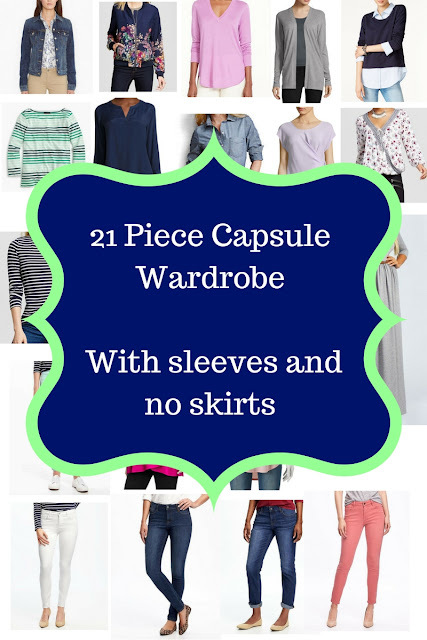 I have tried a capsule wardrobe and it just isn't me. I have learned though to really pay attention to what I like and what I need and make thoughtful purchases now! These are really great options you chose though!